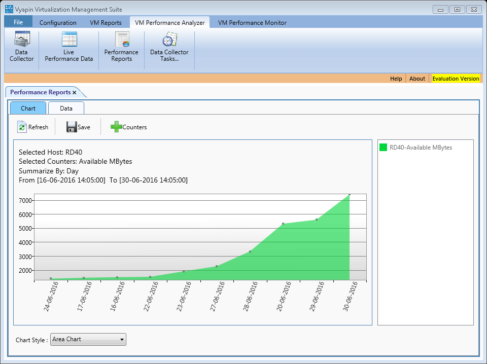 Periodically collect performance data for each Hyper-V host and its VMs and analyze the CPU, Memory, Storage and Network metrics for a specific time interval. 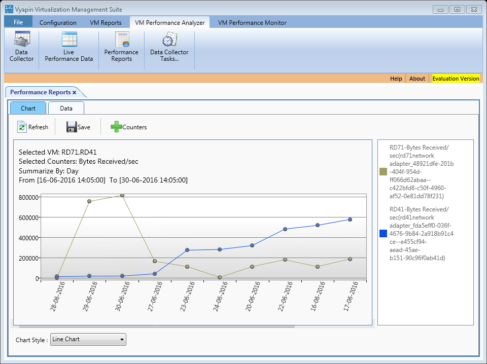 View Summary reports for Hyper-V Hosts or VMs by aggregating performance metrics for different intervals of time in the form of daily, weekly and monthly charts. Compare performance metrics between one or more Hyper-V hosts and VMs to analyze types of workloads using charts and tabular views. Identify performance bottlenecks by understanding how different workloads consume CPU, Memory, IO and Network resources.